I conducted an informational interview in preparation for the Economics of Happiness Conference, which took place in Berkeley in March 2012. Listen for his thoughts on how our globalized capitalist system and constructed social norms impact our lives in profound ways. Steven Gorelick is the US Program Director for the International Society for Ecology and Culture (ISEC), and teaches Economics and the Environment at Sterling College, in Craftsbury, Vermont. He is the co-director of the documentary film The Economics of Happiness (ISEC, 2011), author of Small is Beautiful, Big is Subsidized (ISEC, 1998), and co-author of Bringing the Food Economy Home: Local Alternatives to Global Agribusiness (Kumarian Press, 2002). He lives with his wife and two children on a small organic farm in South Walden, Vermont. CSU Monterey Bay hosted an evening with activist and writer Winona LaDuke on the topic Environmental Justice from an Indigenous Perspective. 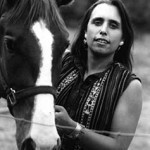 LaDuke is a member of the Mississippi Band Anishanaabekwe who lives and works on the White Earth Reservations in Northern Minnesota and the executive director of Honor the Earth, a native-lead organization concerned with the environmental movement. 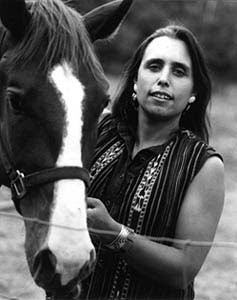 A forerunner in speaking out for environmental action, social justice and indigenous rights, her sixth book, The Militarization of Indian Country, released last April, addresses issues such as affronts taken when Osama Bin Laden was revealed as target “Geronimo”, and the United States’ uranium mining in the Grand Canyon in the wake of possible nuclear contamination in Japan. Her talk focused on American Indian economic and environmental concerns.